9 new cubes! You can use them independently or not of the basic game! Millions of new stories to create! 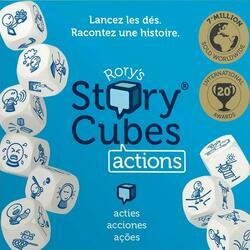 If you have several Story Cubes games mix the dice and take 9 at random, three for the start, three for the middle and three for the end of your story, which will show the greatest imagination?